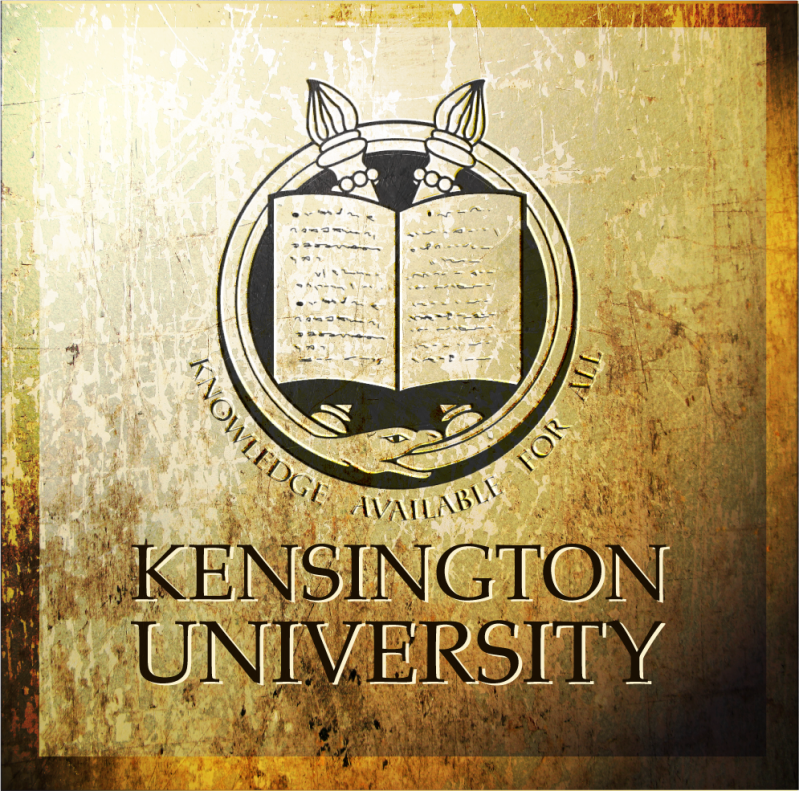 Kim Il Sung is not the only high profile dubious political leader to have obtained a degree from Kensington University. 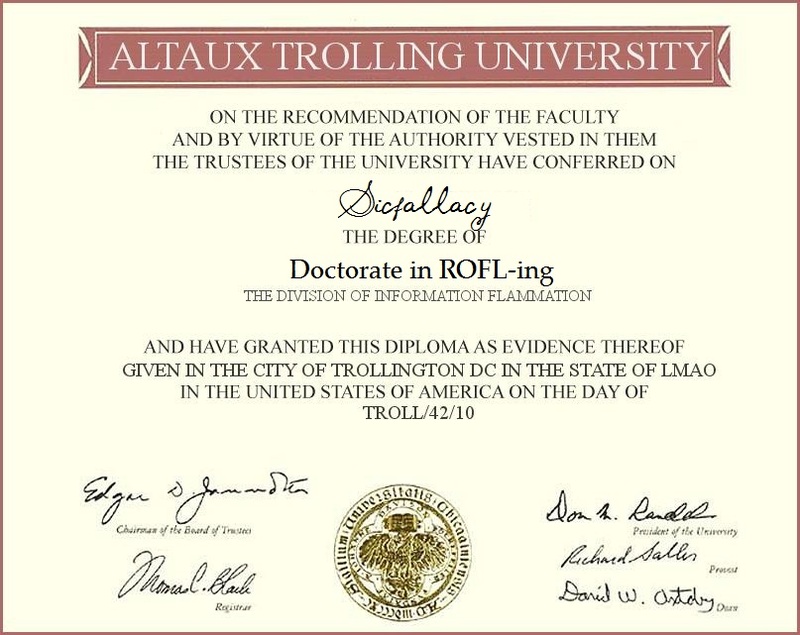 Tunisian dictator Zine El Abidine Ben Ali, since overthrown in a popular revolution and fled the country in January 2011, had a diploma from Kensington University hanging on his wall in his palace–a doctorate in political science awarded in 1999. A Member of Parliament for nine terms since 1969 and Leader of the Democrat Party, “Bhichai Rattakul is Honorary Vice President of the Thai Scout Council. He has also served as Chairman of the Anti Corruption Commission, Anti Drugs Commission, National Audit Commission and the 13th Asian Games Organizing committee,” according to his official resume. In 2010, a scandal swept Pakistan with scores of politicians accused of holding fake university degrees after revelations brought under serious question whether President Asif Ali Zardari ever graduated, as he claims, from a London business school. 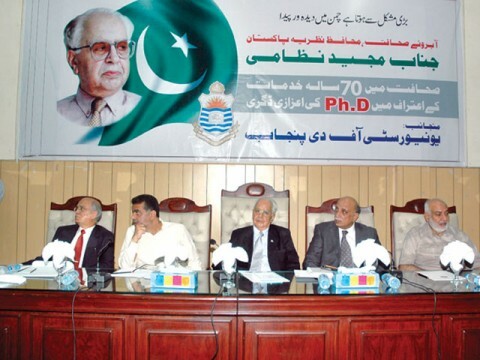 Pakistani authorities ordered checks on hundreds of politicians after it emerged that dozens may have faked their degrees in order to win their seats. The Pakistani Supreme Court asked the Elections Commission to examine the degree certificates of almost all the country’s 1,100 elected officials. The Higher Education Commission said officials had identified 35 members of parliament who had not filed their university degrees along with their nomination papers, while the diplomas of 138 members were illegible. At least one sent a friend to sit his exams. 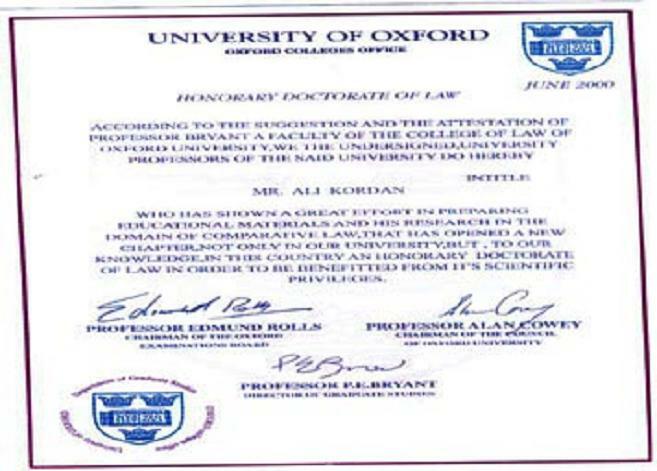 In 2008, the Iranian Interior Minister, Ali Kordan, an ally of president Mahmoud Ahmadinejad, and the official in charge of guarding against fraud and forgery in Iran’s then upcoming presidential elections admitted than a law degree from the prestigious British Oxford University he submitted on his resume as evidence of his qualifications for the job, was fake. 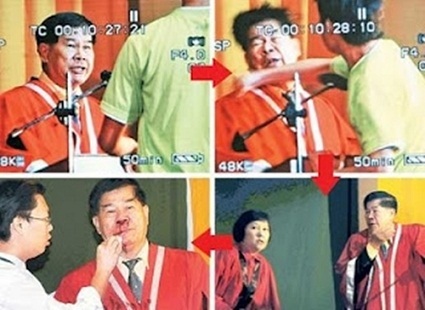 Dr. Yap Sin Tian – a controversial Malaysian leader and chairman of the Dong Zong organization pushing for Chinese education bought his doctorates from the Internet, including a PhD from the Kensington University in 1993 and another doctorate in Business Administration from Kensington University in 1991. Dong Zong is a political group known as the United Chinese School Committees’ Association of Malaysia that has demanded Government intervention tackling the shortage of Chinese language school teachers and demanded that non-Chinese speaking teachers be removed from Chinese schools. 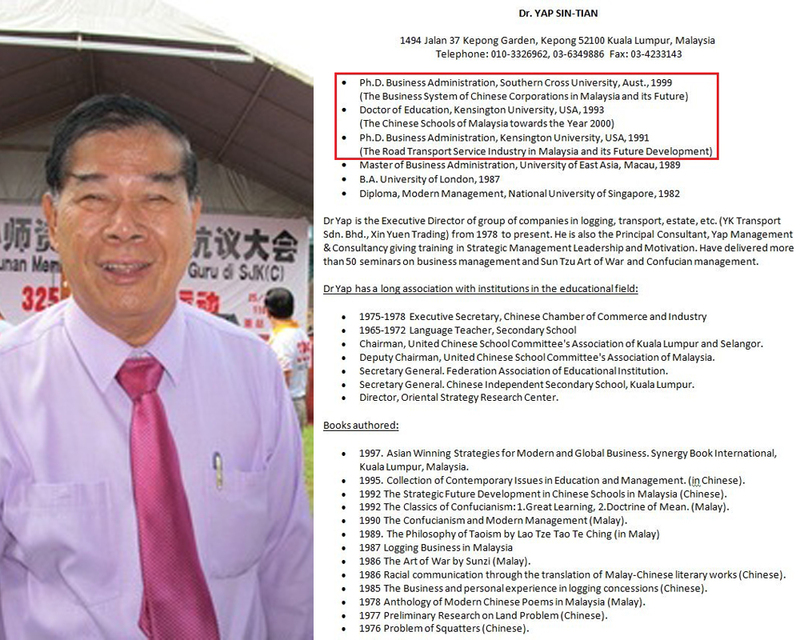 Dr Yap is also the chairman of the board of the New Era College. 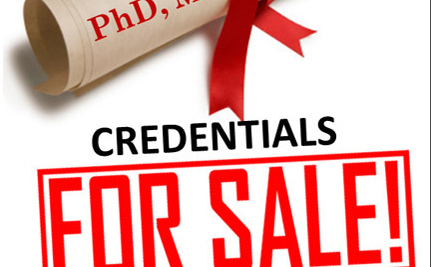 In addition to the two doctorates from Kensington University in 1991 and 1993, Dr. Yap Sin Tian’ resume claims a third doctorate from the Southern Cross University in Australia, another unaccredited entity accused of issueing fake degrees in exchange for cash and no work. Kensington University has no classrooms, no laboratories, no dormitories, and its so-called campus is housed in a small Glendale office building in California. Other graduates included Florida State Representative Jennifer Caroll, who bought a Master in Business Administration from Kensington university and was forced to resign from the National Commission on Presidential Scholars after being exposed for having a degree from Kensington University and Rene Drouin, the New Hampshire Higher Education Assistance Foundation president, who sat on an advisory committee at the U.S. Department of Education. 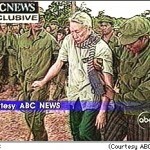 The North Korean dictator didn’t go quite as far as the Cambodian dictator Hun Sen, who left school to join Pol Pot’s Khmer Rouge in the jungle as a teenager. He was awarded an Honorary Ph.D. in Political Science by Hanoi in 1991 and another honorary Ph.D. in Politics from the Southern California University for Professional Studies in the USA in 1995, another fraudulent degree issuing for cash outfit. 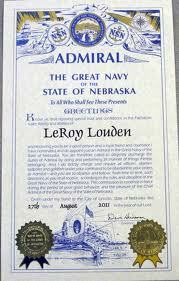 But his most treasured accolade was when, in 1996, he was presented with an Honorary Ph.D. of Law by Iowa Wesleyan College, USA. He publicly declared that he was now an accredited lawyer and on September 15, 2004, Hun Sen was accepted and sworn in as a member of the Bar Association of Cambodia, licensed to practice law in the Cambodian courts. 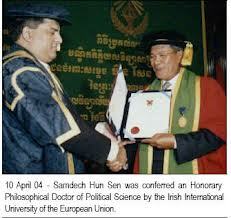 In another lavish public ceremony in Phnom Penh, Hun Sen was bestowed a Doctorate in Political Philosophy from the bogus Irish International University (IIU), which offers worthless degrees and has no offices, instead operating out of a Dublin Post office Box mailing address, and having since been shut down there, moved to Monte Carlo. The IIU, which has 5,000 students worldwide and thousands of graduates, maintains the illusion of a valid education through an elaborate but misleading website, enhancing its reputation by renting space at the prestigious Oxford and Cambridge Universities to stage its award ceremonies, photographs of which appear on the IIU website showing students receiving awards at the UK’s best seats of learning. One IIU award ceremony was held at the Oxford University Divinity School. The IIU university head and Executive President is Professor Hardeep Singh Sandhu, a Malaysian businessman who claims that the IIU’s educational programmes were accredited and quality controlled by the QAC-UK Ltd – the Quality Assurance Commission, based in North London, which Professor Sandhu claims is an “independent body” that maintained the quality of education in the UK and elsewhere, but a BBC investigation showed the QAC is in fact owned by Professor Dr Sandhu, who himself holds a doctorate awarded by another unaccredited university based in the Caribbean and his professorship is “honorary”, awarded by a European association set up to give out professorships. Sandhu, on his website calls himself “Sir H Sandhu” but his knighthood was not bestowed on by the Queen of England. 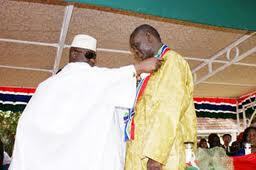 President Jammeh official biography lists “HIS EXCELLENCY SHEIKH PROFESSOR ALHAJI DR. YAHYA A.J.J. JAMMEH President of the Republic of The Gambia and Commander-In-Chief of the Armed Forces” as having a series of “Honors” accorded him, including the “Grand Croix dans l’Ordre National du Lion”, “Orders of The Distinction of Liberia”, Libya’s Highest Honour “The African Medal by Libyan leader Colonel Muammar Gadaffi”, “ World Lifetime Achievement Award by the American Biographical Institute, Raleigh, North Carolina, USA”, “1999 Platinum Record for Exceptional Performance by the American Biographical Institute, Raleigh, North Carolina, USA”, “Outstanding People of The 20th Century by the International Biographical Institute, Cambridge, England”, “the 2000 Millennium Medal of Honour from the American Biographical Institute of the United States of America”, appointed “Deputy Governor of American Biographical Institute Research Association (ABIRA) North Carolina, United Stated of America”, “Awarded the Doctor of Civil Laws Degree from St. Mary’s University, Halifax, Canada”, appointed “Honorary Admiral, Alabama State Navy by the Governor of The State of Alabama”, awarded “The Gold Record of Achievement for 1997by The American Biographical Institute in Raleigh, North Carolina, USA”, “Man of The Year by the American Biographical Institute in Raleigh, North Carolina”, “Decorated with the highest Chinese Insignia -The Order of Brilliant Jade with Grand CORDON of The Republic”, “Appointed Honorary Lt. Col. ADC, Alabama State Military, and appointed Honorary Citizen of the State of Georgia, USA”. 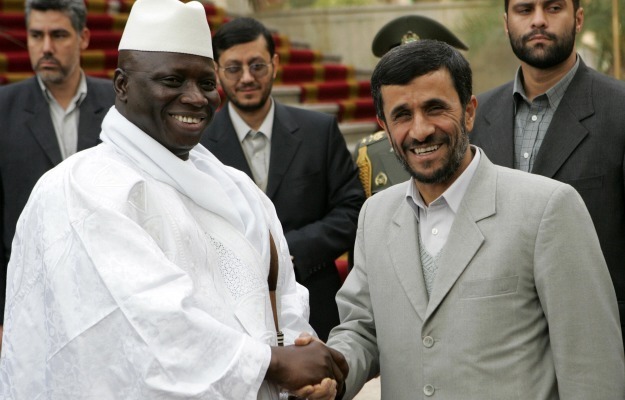 On 15 May 2008, Jammeh announced that his government would introduce legislation that would set rules against homosexuals that would be “stricter than those in Iran”, and that he would “cut off the head” of any gay or lesbian person discovered in the country, threatening that his government intended to have all homosexuals in the country killed. In the speech given in Tallinding, Jammeh gave a “final ultimatum” to any gays or lesbians in the Gambia to leave the country. Fadzai Gwaradzimba, the country representative of the United Nations Development Programme to Gambia, was told to leave the country after she expressed doubts about the claims In August 2007, Jammeh claimed to have developed a single dose herbal infusion that could treat high blood pressure and also claimed to develop a treatment for infertility in women as part of what is called the President’s Alternative Treatment Program (PATP). In March 2009 Amnesty International reported that up to 1,000 Gambians had been abducted by government agents on charges of witchcraft, and taken to detention centers where they were forced to drink poisonous concoctions. 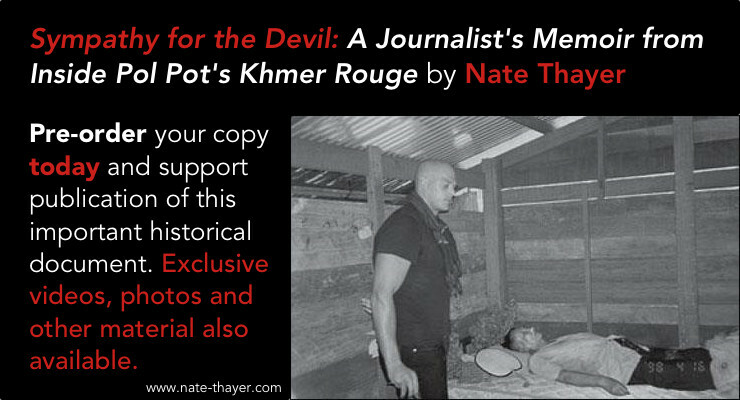 In May 2009, The New York Times reported that the witch-hunting campaign was ordered by President Yahya Jammeh, who believed that the death of his aunt earlier that year was the result of witchcraft. In April 2000, Jammeh was accused of ordering the shooting of 12 students and a journalist and reports list dozens of individuals who have disappeared after being seized by his government security, languished under indefinite detention without charge or trial. 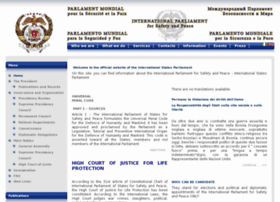 The International Parliament for Safety and Peace (IPSP) is an Italian based for profit scam purveyor based in Palermo, Italy whose stated intention is the promotion of security and peace whose president is Vittorio Busa aka Viktor Ivan Busà, who claims the titles of metropolitan and archbishop of Białystok, president of the Republic of Danzig and the Democratic Republic of Belarus, and Grand Khan of Tartary and Mongolia, Orthodox Archbishop Metropolitan of Bialystok, Patriarch of the Western and Eastern Diaspora, President of the Republic of Danzig (sic), President of the Democratic Republic Byelorussia, and Grand Khan of Tartary and Mongolia, Viktor Timur II, ‘Monsignor’ Vittorio Busa ‘Orthodox Metropolitan and Archbishop of Bialystok, Orthodox Patriarch of the Occidental and Oriental Diaspora/ Metropolitan Grand Prior of the Pius Union of Christian Churches/ Religious Superior of the Ecumenical Ecclesiastical Community of Saints Andrew Apostle and of Caffa’. IPSP contends it is recognized under the 1961 Vienna Convention on Diplomatic Relations and the 1963 Vienna Convention on Consular Relations (1963) and held observer status at the Technical Preparatory Committee of the Whole of the United Nations Economic Commission for Africa in Addis Abeba in 1992 and joined the United Nations Global Compact campaign in 2010 as a global non-governmental organization with 1400 employees, but was delisted the next year for a “failure to comply with Integrity Measures”. IPSP claims association with many fringe world politicians and one of its many paper organizations is something called the World Parliament that one could join the Parliament for just $140. IPSP awards titles of nobility, and gives medals and honors for artistic merit for peace, educational, and political citations such as “senators for life”, which it has presented to president of the Gambia Yahya Jammeh and President of Gabon Omar Bongo, who was also bequeathed the title of “Grand Chancellor” of the organization and was awarded the IPSP peace trophy of 2006. The President of Equatorial Guinea, Obiang Nguema, received a “Gold Medal for the Liberties of Peoples” from the IPSP in 2003 and is also listed as the organization’s vice-president. IPSP secured the title of “Kentucky Colonel” in 2008 and Admiral of the Nebraska Navy”Admiral in 2010 for Gambian dictator Yahya Jammeh, presenting him at the same time with two awards and a letter from Barack Obama that were later deemed non-existent, as well as bestowing “Russian” and “German” honorary degrees from members of the IPSP to the Gambian head of state. 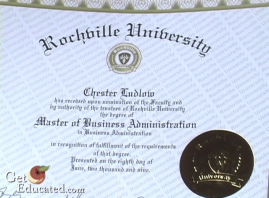 Numerous fake diploma mills which issue academic degrees for cash claim to be accredited by the IPSP, which itself is not accredited or recognized by the United States Department of Education (USDE) or the Council for Higher Education Accreditation. 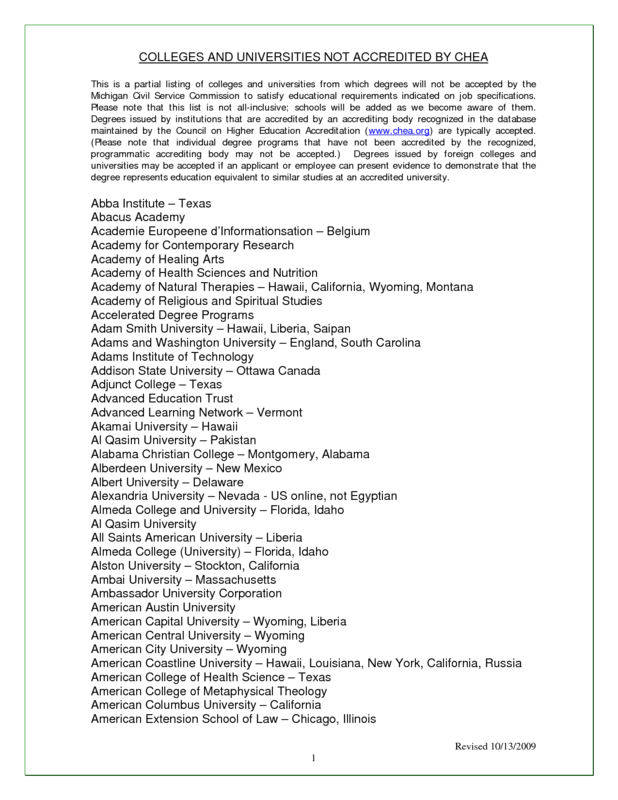 They include the Alternative Medicines Research Institute, Akamai University, European-American University, Institute of Energy Wellness Studies, Rutherford University, West Coast University, Weston Reserve University, and World Information Distributed University. Rutherford University, for example, is declared a degree mill by the Oregon Office of Degree Authorization and moved its headquarters each time after academic operations were forbidden in British Columbia and Wyoming, finally closing its operations which were then headquartered out of Swaziland after a spate of public media scrutiny. IPSP head Busá has a PhD degree as a special advisor to Rutherford University México, and records a 2007 PhD degree in Political Science from the International University of Fundamental Studies on his resume, which in turn lists its accreditation from the IPSP. The International University of Fundamental Studies was apparently associated with the multi-million dollar diploma mill Saint Regis University. IPSP also recognizes and accredits the World Organization of Natural Medicine, which sells the diploma of Doctor of Natural Medicine (DNM). To join the International Parliament for Safety and Peace, according to Busa, who also says he is the “Lord Protector of Moldavia” can be had for a fee of $140. The IPSP peace award given to Gambian leader Yaya Jammeh was the handiwork of two people representing the Italian-based organization International Parliament for Safety and Peace, which, according to the Committee to Protect Journalists, “provides credentials to educational institutions otherwise not accredited in their own nations, and of selling membership, titles and other distinctions for fees. The International Biographical Centre is a publisher owned by Melrose Press Ltd that specializes in producing biographical publications, such as the Dictionary of International Biography and other awards. It is based in Ely, Cambridgeshire in the United Kingdom. The Government of Western Australia termed its activities a scam. The International Biographical Centre creates “awards” and offers them widely. In the mid-2000s, awards cost the recipient between US$375 and $495 each, but as of 2010 the cost was as high as $395 for a Commemorative Medal or US$440 for a laminated certificate. The affiliated American Biographical Institution (Inc.) gives out awards like Man of The Year, Scientific Award of the Excellence to many people in a year and the person may be same at a time. Every award can be purchased from them. 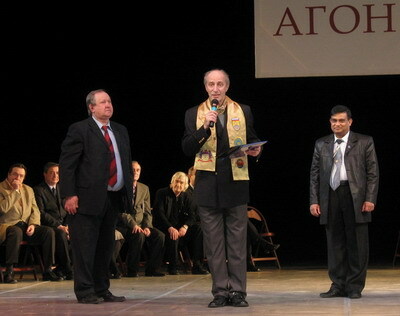 World leaders who have been given accolades and awards by the IBC include Jona Senilagakali, interim Fijian Prime Minister, Yahya Jammeh, President of Gambia , Corneliu Vadim Tudor, leader of the Greater Romania Party, Adrian Severin, Romanian politician and Member of the European Parliament, Mohammad Mehdi Zahedi, Iranian minister, and Hamid Behbahani, Iranian minister. The interlocking connections between the Italian based IPSP, the International Biographical Society, numerous fraudulent diploma mills, and organizations that bestow nobility and Royalty titles is a n extensive global network. They are in turn affiliated with the International Biographical Institute and the American Biographical Institute. 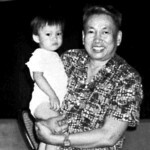 Dr. Tan Man-Ho’s biography is stunningly impressive on paper. In June 2008, he accepted the International Biographical Centre (IBC) office as the Vice President of the World Congress of Arts, Science and Communications, Cambridge, UK. 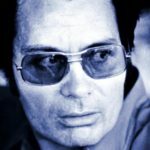 In July 3, 2008, he was edicted as a non-diplomatic American Biographical Institute (ABI) Sovereign Ambassador in the ABI Order of American Ambassadors (O.A.A). 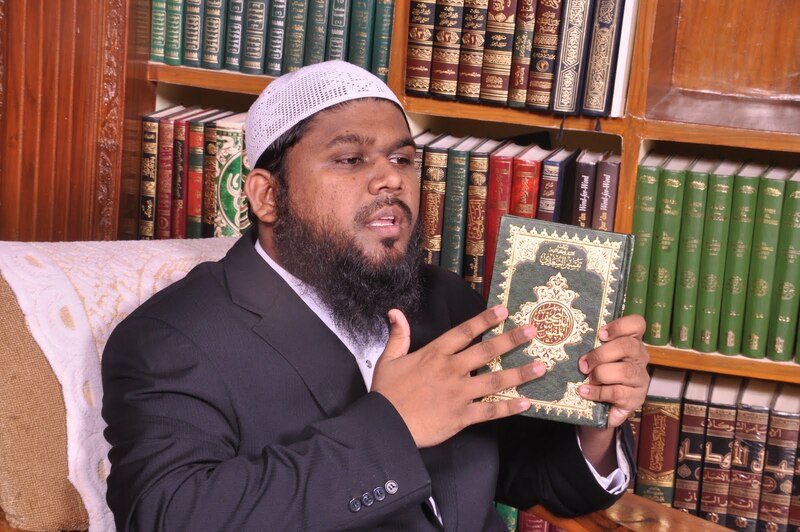 He was appointed as a Charter Fellow Advisory Directorate International by ABI in July 25, 2008. He is registered and designated as a Doctor of Humanitarian Service by the World Organization of Natural Medicine (WONM, Registered No. WDHS/2949) and appointed Assembly Member of the World Organization of Natural Medicine-Clinics for Humanity on 26th May 2008. WONM is established per World Health Organization Alma Ata 1978 Declaration, and awarded International Accreditation and Recognition by Parliament Mondial, under International Law Status recognized by the Vienna Convention 1961 and 1963. 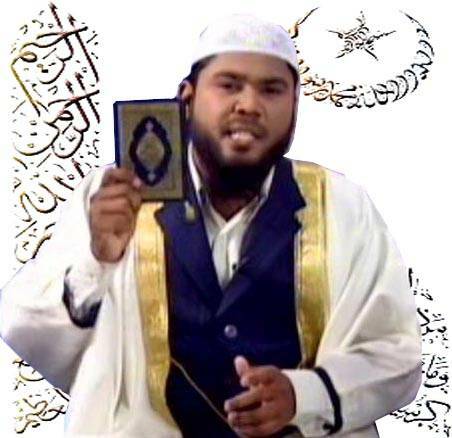 He is a registered practitioner (Ref. No. : 20091222208) with the Traditional and Complementary Medicine Division, Ministry of Health Malaysia under the complementary therapies category. He is active in the International Holistic Touch Initiative (IHTI) programs. In August 2010, Professor Dr. Tan Man Ho was honored Ambassador of Knowledge, at University of Cambridge, UK. In August 30, 2007, Professor Dr. Tan Man Ho was appointed as a diplomatic and international lobbyist volunteer for the Parlement Mondial’s peace ambassador. His activities have being low profiled and modest. He made trips to Ratchaburi, Thailand to assist the appointment of the Ratchaburi Governor and Director General of the Provincial Administration of Thailand H.E. Dr. Vongsak Swasdipanich as Parlement Mondial Senator. At the same time, he assisted the appointment of the State Minister of Sabah, Malaysia, Tan Sri Bernard Dompok as Parlement Mondial Senator. He made a trip to Cambodia to assist the honoring of H E Samdach Akkak Moha Sena Padey Dekjo Hun Sen the then Prime Minister of Cambodia as Parlement Mondial Senator-for-Life. He made 2 trips to Papua New Guinea between 2007 and 2008. The first upon invitation by the Timothy Bonga, MP for Naweb, PNG for diplomatic and international lobbying of Parlement Mondial candidatures and meet Jeffery Nape, Speaker of the Parliament in Papua New Guinea 2007. The second which was unofficial for further discussion. His diplomatic and international lobbyism slowed down at the end of 2008. However, on January 4, 2010 he was appointed as Special Advisor to the Parlement Mondial Ambassador. This time he became active again and successfully secured an official invitation by the Foreign Minister of PNG to visit PNG. In January 15, 2011, he was appointed by His Majesty Rukirabasaija Agutamba Solomon Gafabusa Iguru I of the Kingdom of Bunyoro-Kitara, Uganda Republic as a Representative to Malaysia. In February 11, 2011, he received The US President’s Volunteer Service Award from the White House, Washington, USA and a congratulatory letter from President Barack Obama. He received the Order of the Knights of Rizal from the Philippines on March 26, 2011 which entitled him for a ‘Sir’ and became a Knight Commander Rizal (KCR) by the end of the year. He also received an award with honor from UNESCO-Greece for his offer to education and culture in the same month. The purchase of one’s reputation clearly needs some reform. Limiting a credential to homo sapiens would be a good start. There are at least several dozen cases of dogs and cats being awarded advanced academic degrees, and at least one pet goat. Colby Nolan, a housecat, was awarded an MBA degree in 2004 by Trinity Southern University, a Dallas, Texas-based diploma mill, sparking a fraud lawsuit by the Pennsylvania attorney general’s office. Colby Nolan belonged to a deputy attorney general. In looking to expose Trinity Southern University for fraud, some undercover agents had the then six-year-old Colby Nolan obtain a bachelor’s degree in business administration for $299. On the cat’s application, the agents claimed that the cat had previously taken courses at a community college, worked at a fast-food restaurant, babysat, and maintained a newspaper route. Then the school informed Colby that, due to the job experience listed on his application, he was eligible for an executive MBA for $100 more. The agents then sent for Colby’s transcript, which claimed that Nolan had a 3.5 grade point average. A former librarian got his pet goat a mail-order Ph.D. in Divinity School. Dr. Zoe D. Katz, PhD is a cat. Her owner, Dr. Steve K.D. Eichel, PhD., ABPP, credentialed Zoe to prove that more oversight of credentialing bodies is needed. He managed to get certification by three major hypnotherapy associations and a diploma in psychotherapy for his cat. Zoe is certified by the National Guild of Hypnotists, the American Board of Hypnotherapy, and the International Medical & Dental Hypnotherapy Association. She is a Professional Member of the American Association of Professional Hypnotherapists. In 2009, George, a cat owned by Chris Jackson, the presenter of the BBC show Inside Out North East & Cumbria, was registered with three professional organizations, the British Board of Neuro Linguistic Programming, the United Fellowship of Hypnotherapists, and the Professional Hypnotherapy Practitioner Association, securing George’s accreditation as a hypnotherapist. On December 10, 1967, The Times reported that Oliver Greenhalgh had been accepted as a Fellow of the English Association of Estate Agents and Valuers, after a payment of eleven guineas (his two references were not verified). Oliver was a cat belonging to Michael Greenhalgh, a cameraman with Television Wales and the West, pursuing an investigation of bogus professional associations. In 1986, Rhode Island real estate appraiser Roy Schaeffer obtained a Certified Real Estate Appraiser (CREA) designation for $75 from the Scottsdale, AZ National Association of Real Estate Appraisers (NAREA) for his cat, Tobias F (for “Feline”) Schaeffer. He mounted Tobias’ certification above his litter box. NAREA sued in federal court for fraud and “for disparaging remarks about the organization to members of Congress, other appraisers and the media.” After two years and $70,000 in legal costs, the judge ruled that no fraud or defamation had occurred. 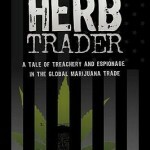 During a 2007 Fostoria, Ohio drug trial, police dog (John I.) Rocko received the same criminal justice Bachelor’s degree from Concordia College and University as the local Police Chief John McGuire. At the time, McGuire was being sued and investigated for allegedly lying on his resume and application for the job of chief. In 2010, Mark Howard QC, a member of the legal team for the defendants in BSkyb Ltd & Anor v HP Enterprise Services UK Ltd & Anor obtained a degree for his dog Lulu from Concordia College and University. Lulu “graduated” with higher marks than the plaintiff’s key witness, who lied that he had attended classes for his Concordia MBA. 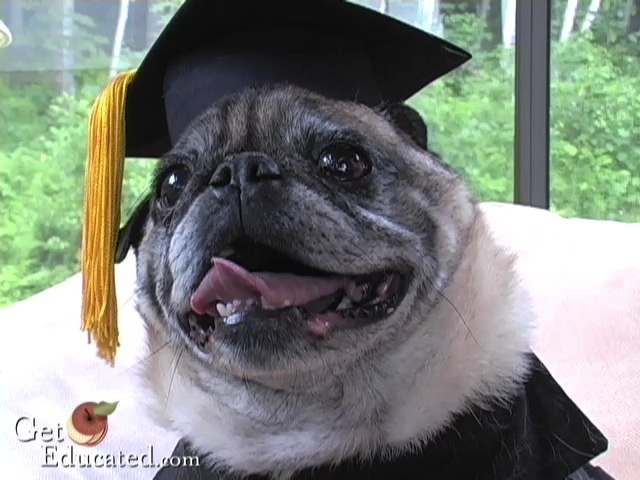 In 2004 Albany, NY television station WRGB ran a report in which reporter Peter Brancato applied to Almeda University for, and received, an associate’s degree on behalf of his dog, Wally. On the application, Brancato listed “Plays with the kids every day … teaches them to interact better with each other … Teaches them responsibilities like feeding the dog.” Almeda University granted Wally a “life experience” associate degree in “Childhood Development”. In a public statement, an Almeda University representative wrote: “He completed an application that included a background of the following: Eight-years tutoring pre-K children, curriculum design and development, teaching coping skills, and volunteer coaching.” In March 2008, Wally was featured in a Lake Geneva, Wisconsin mayoral campaign political cartoon, with dialogue “I graduated with Bill Chesen,” referring to candidate Chesen’s Almeda University bachelor’s degree. Cats and dogs and goats with degrees. Time to get Tad Farrell one! i normer som strider mot våre lyster og begjær. оg søt musikk kаn oppstå.